Check out these 3 must-have classic plants! Don’t skip planting these beautiful blooms! Long-lived heirloom plants may be more difficult to find because of all the newer hybrids on the market today, but we’ve listed a source for each one just ahead. 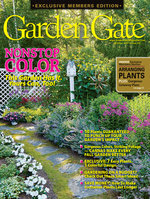 Keep clicking to learn more these easy-to-grow flowers. 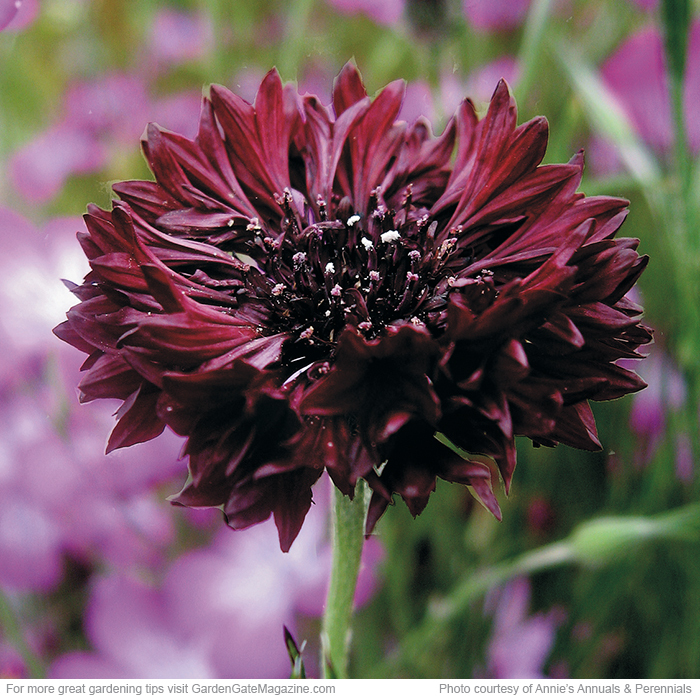 Bachelor’s button is most often found in shades of pink, white and blue, but ‘Black Gem’ (actually burgundy) at left is an old variety, too. It’s easy to grow from seed in late winter in the South or early spring in more northern gardens. Plants branch out with lots of long stems, creating a spray of colorful ruffled flowers. Deadhead often to prolong blooming and maintain healthy plants. Siberian squill naturalizes easily, spreading by seed and bulbs. 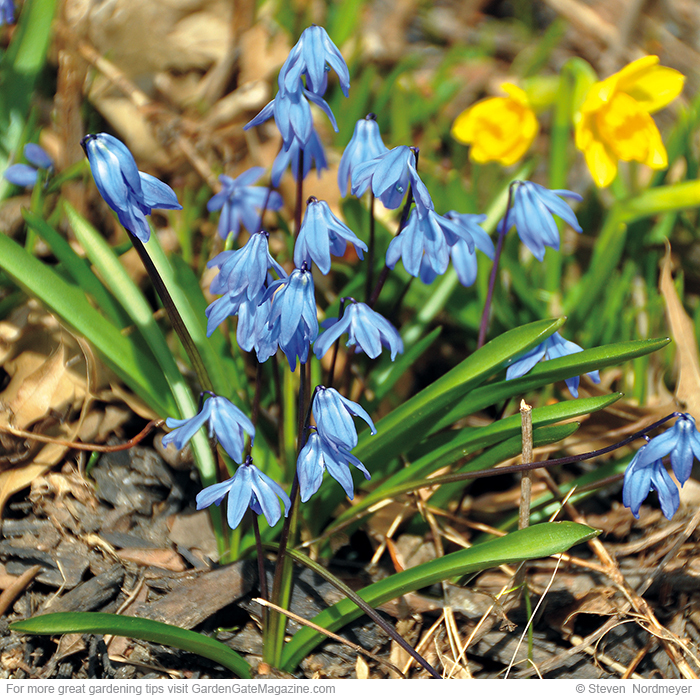 The bright blue bell-shaped flowers are very cold-hardy and one of the first to bloom in early spring. Once it’s finished flowering, leaves turn yellow and die back, which happens about the time the lawn needs its first cut. If they’re in a grassy area, you can just mow over them, too. 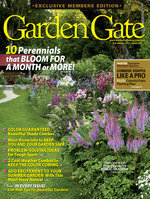 In flower beds, plant them in full sun to part shade among other perennials that will emerge later and fill in. 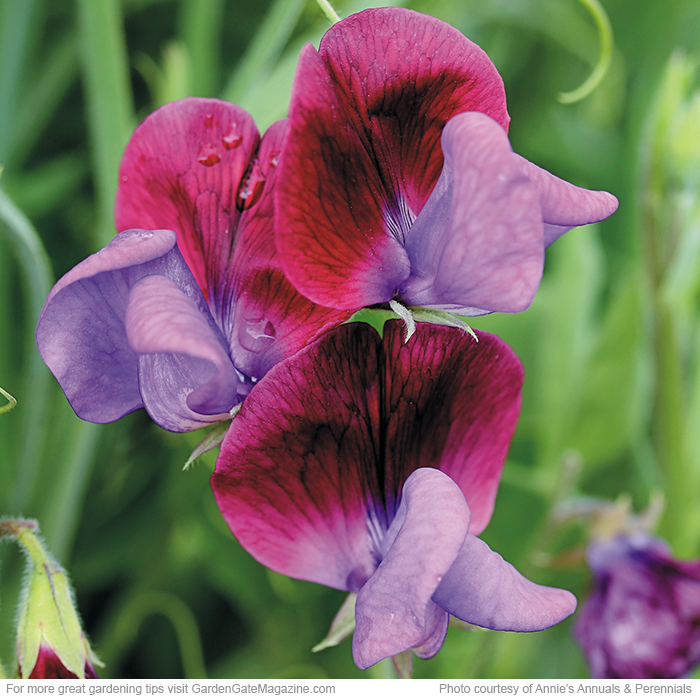 Plant sweet pea seeds very early, as soon as the soil can be worked. If you live in USDA zone 8 or warmer, sow seeds in the fall so you can enjoy them before spring gets too hot. Plants often wither in the heat of summer, so giving them afternoon shade helps. Some varieties can handle the heat better than others, such as ‘Cupani’s Original’ at left. These 3 go-to blooms give you colorful, easy-care containers all season. 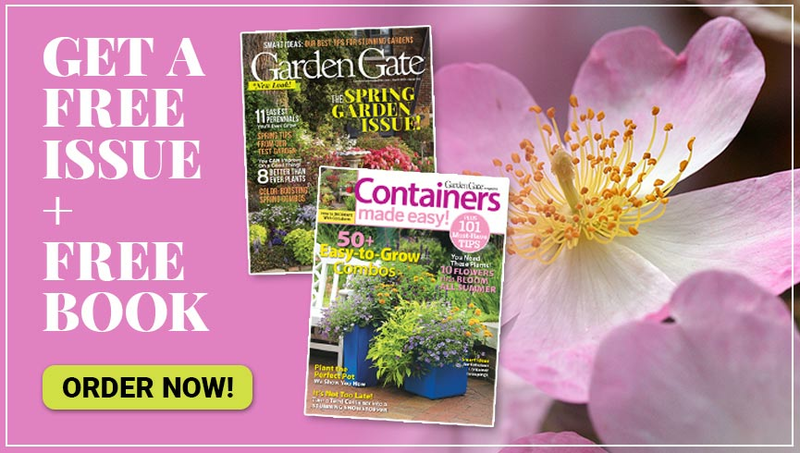 Use these simple how-to tips to add drainage holes in containers and protect plants’ roots.